It's one of the perils of using a credit card, and credit card fraud can happen to anyone, whether you've just used the card to buy petrol, or in a restaurant, or made a credit card payment online. Contrary to popular belief, you don't have to be gullible enough to type your debit and credit card details into a spam email to get caught out by people stealing your details and using your credit card to buy goods online. It happened to Maisie Cook from Somerset, who still to this day doesn't know how the scammers got hold of her details. "I've always been really clued up on Internet security," Maisie explained, "I love using eBay, but I make all my payments using PayPal so I can't imagine that anyone could have got hold of my credit card details that way." "I was away on holiday, and when I came home, I noticed that there had been some strange payments that I didn't recognise, on my credit card. I knew that they couldn't possibly have been me, as I wasn't even in the country. Some of them were places and merchant names that I didn't recognise at all. I racked my brains to think whether I'd used the card and forgotten - but I try to keep a close eye on my outgoings because I'm a pensioner. So I called my bank's fraud department and asked them to look into it for me. "The bank told me that they could investigate the payments, but that if there was a suspicion of fraud they would have to freeze the account and issue me with a new card so that no more fraudulent payments could be made. This was fine by me, as I didn't want some stranger living it up on my account! They bank also said they'd open an investigation into the incident, and would refund all the disputed payments into my account, which was a relief as some of them were quite hefty. I would get the extra interest refunded too." "It turned out that whoever pinched my details wasn't very good at it. Not only had they used my credit card details to purchase train tickets which were sent to their home address, but they also bought flowers and paid off a mail order account! Although I never did find out what happened to the thief, I'm sure they were fairly easy to track down and reprimand. I've since heard that in some cases, unscrupulous call centre staff can get your card details and use them. I've got several mail order accounts myself and I often order over the telephone. I can't prove anything but I do wonder if that's what happened." "The bank did as they promised and sent me a new credit card and PIN number through reasonably quickly. They were really good about refunding the money onto my card and at the end of the day, although it was a bit of an inconvenience, no real harm was done. I tend to use online ordering systems more than telephone now, although nothing's infallible. 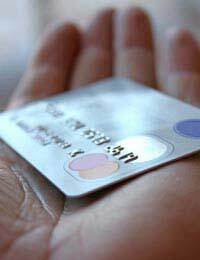 I've spoken to a lot of my friends and it would seem that I'm far from alone in having my credit or debit card details cloned, and everyone says that as long as you contact the fraud department of your bank or credit card provider, you'll usually have no problem getting the money back. I suppose it's just a sign of the times, but I do take care with who I give my details to these days!"